I’ll be a guest at Elstercon 2018, September 21-23 in Leipzig. I read and *loved* Chelsea Polk‘s glorious debut novel, Witchmark, from Tor.com Publishing and Tor Books (I blurbed it, in fact!). 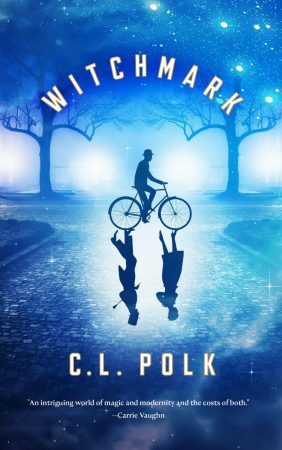 Set in an alternate post-War world, it’s got magic, family, politics, the sweetest gay romance, and bicycle chases! Still time to preorder, by the way: Amazon | Barnes and Noble | Macmillan. It’s also filled with food — apples in particular, but other foods as well. 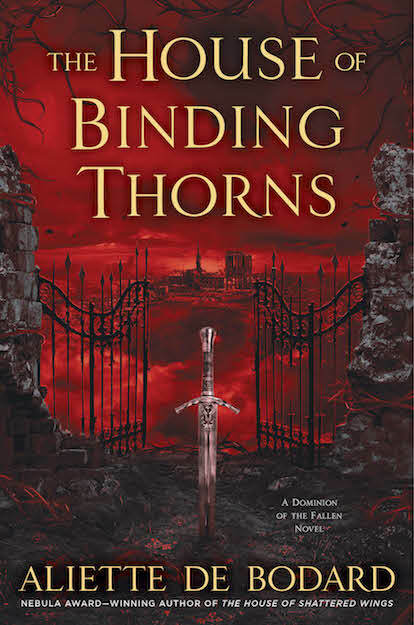 Fran Wilde and I sat down (metaphorically) with Chelsea to talk about the book and more. She also answered questions for our partners in crime The Booksmugglers! 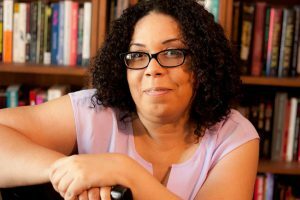 Chelsea will be at 4th Street Fantasy in June, and celebrating the launch of Witchmark soon after, but you can hear her here first! It’s all for Cooking the Books this month, both here and at the extension kitchen over at The Booksmugglers! (check out Chelsea’s Booksmugglers Bonus answers!). I love oatmeal cookies. I’ll even eat them with raisins. but I greatly prefer the version I developed a few years ago, with dried cranberries, chocolate chips, and pecan pieces. this recipe is a relatively small batch of cookies, by my gluttonous standards – I make a dozen, and freeze the other half to make more later. In a medium sized mixing bowl, cream butter and brown sugar together, adding egg, vanilla, baking soda, cardamom, and salt. Stir in flour; mix in rolled oats in gradual doses, and then add cranberries, chocolate chips, and pecan pieces. mix well. Refrigerate for a minimum of 30 minutes, maximum 24 hours. Preheat oven to 350. Drop 1.5″ balls of dough on a cookie sheet. Bake for 10 minutes; leave on the sheet to continue cooking for 5 minutes. Store in an airtight container to preserve the chewy texture. They will probably last in the refrigerator for several days, but I don’t have that kind of willpower. C.L. Polk writes fiction and spots butterflies in Southern Alberta. She has an unreasonable fondness for knitting, single estate coffee, and the history of fashion. 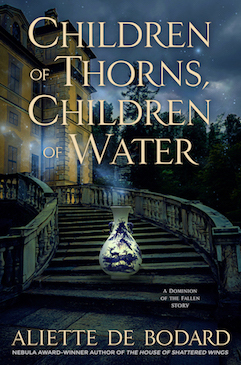 Her debut series beginning with the novel Witchmark is available from Tor.com Publishing. Very quick announcement as I’m hard at work on a novel (book 3 of Dominion of the Fallen, about which I hope to have cool news soon!). Here’s a re-release of an old, hard-to-find story I wrote with Gareth L Powell when I was still a baby writer (feels so far away lol!). I still remember googling all the Paris locations because I needed clear visuals, and I may have visited them all but my visual memory isn’t that strong! 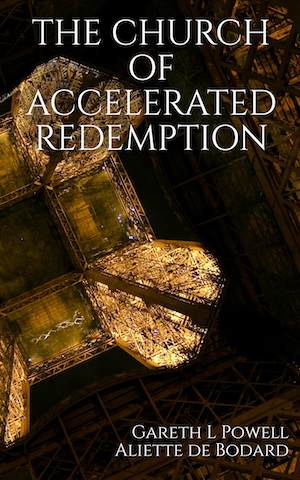 Anyway, this is a story about two of my loves: Paris, and artificial intelligences and the future. You can get it at Amazon (for the moment it’s not available at other vendors. We’ll keep you updated if that changes). I’ll be signing books alongside C Robert Cargill at Forbidden Planet in London, May 10th, 18:00-19:00. Drop by and chat! You can preorder a book here, or come to the event on the day (address: 179 Shaftesbury Avenue, London WC2H 8JR). 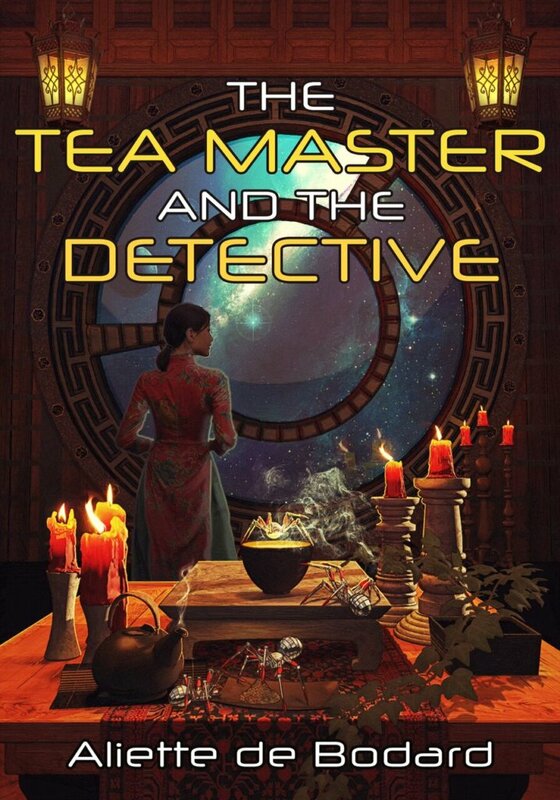 Thrilled to reveal the cover of the ebook edition of the Tea Master and the Detective outside North America. Isn’t it gorgeous? Also yesss I got an áo dài on a cover!!! (the áo dài is a traditional Vietnamese female dress). Art and design is by Dirk Berger , with many many thanks to John Berlyne for his help, as well as Likhain, Kate Elliott, Vida Cruz, Sebb, Stephanie Burgis and Patrick Samphire. 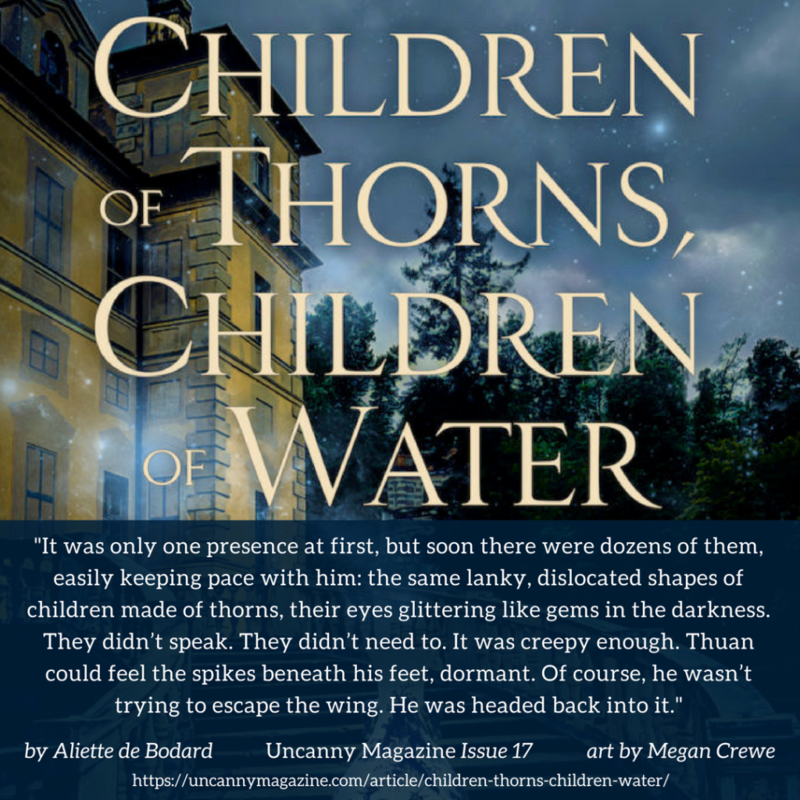 The book will be out April 2nd from JABberwocky, but you can preorder it right now on Amazon, Kobo, and iBooks! If you’re in North America, Subterranean is now shipping both the book and the ebook: it will become available at major retailers March 31st, 2018. Once, the mindship known as The Shadow’s Child was a military transport. Once, she leapt effortlessly between stars and planets, carrying troops and crew for a war that tore the Empire apart. Until an ambush killed her crew and left her wounded and broken. Now the war is over, and The Shadow’s Child, surviving against all odds, has run away. Discharged and struggling to make a living, she has no plans to go back into space. Until the abrasive and arrogant scholar Long Chau comes to see her. Long Chau wants to retrieve a corpse for her scientific studies: a simple enough, well-paid assignment. “This slim volume packs a visceral punch. Absorbing prose takes the reader in the dark, frigid space between the stars, where ships can fail, physically and emotionally, as well as people. (…) an imaginative read. I’ll be attending the 2018 Imaginales in Epinal, France, May 24-27. Come say hi!